Today, exactly 4 years ago I competed at Ironman Austria. The official time limit to complete this race is 17 hours and I finished the whole race in 12 hours and 29 minutes. This was the day when I surprised myself and everyone around me. I came in 20th in my age group out of 52 women. This picture collage was a gift from my father-in-law so that I can always remember how powerful the mind is, and how critical it is to overcome our fears. And yes, I was really scared when I stood at that beach with about 3,000 other athletes to get ready for the swim (click here). My goal was to smile as much as possible to inspire at least some of the spectators along the way. I am not the fastest in any of these sports but I can say that I have a mind of steel. Giving up has never been in my vocabulary. An Ironman doesn’t only require very different skill sets (swimming, cycling and running) but athletes in this race have to be also very strategic. You have to plan what you will eat, how much you will eat, and you have to practise eating on the bike – the only place you can eat properly (more or less). Nutrition is important if you don’t want to run out of strength. On the bike it is critical that you know how to distribute your strength. If you burn too many matches climbing on the hills, you won’t make it through the run. On the run I had a different strategy. I set mini goals and allowed myself to walk through every aid station to get enough liquids into my body. This strategy prevented me from walking in the marathon like so many of the athletes did. The reason why I took on this challenge was my husband Adrian (boyfriend at the time). He inspired me and we competed in the same event, which made it such a special experience. 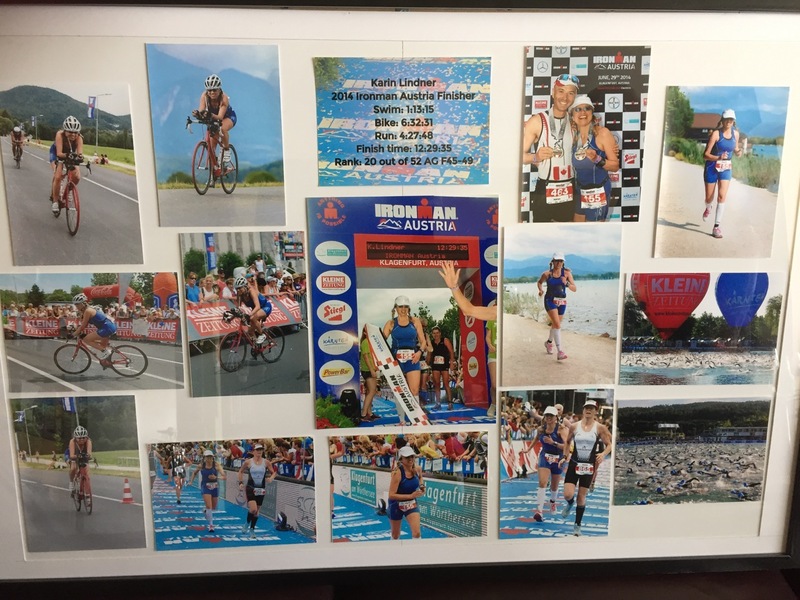 Austria was Adrian’s third Ironman and with 10 hours and 19 minutes he finished super fast. This is a title of dedication, effort and grit. Wholeheartedly earned. How is all of this relevant to you? The same is true in business and in life. You have to have a strategy for whatever you plan to do. Live life to the fullest, be happy and joyful. That’s what it is all about.